Pollution & Process Monitoring is a UK manufacturer of water quality instrumentation. The Company was founded in 1990, by a team of dedicated and highly skilled engineers that bring a wealth of experience and instrument knowledge, to the field of on-line water and waste-water quality measurement. Pollution & Process Monitoring operates a quality management system which has been third party assessed, complying with ISO9001:2008 that covers the design, manufacture and supply of analytical instrumentation for water quality monitoring. Water instrument manufacture takes place at the southern office located in Borough Green, Kent in close proximity to London and includes the manufacture, assembly and testing of instrumentation, suitable for continuous and laboratory water measurement. The Protoc TOC analysers are manufactured to exacting standards and the Protoc 300 model has been certificated to the MCERTS standard. 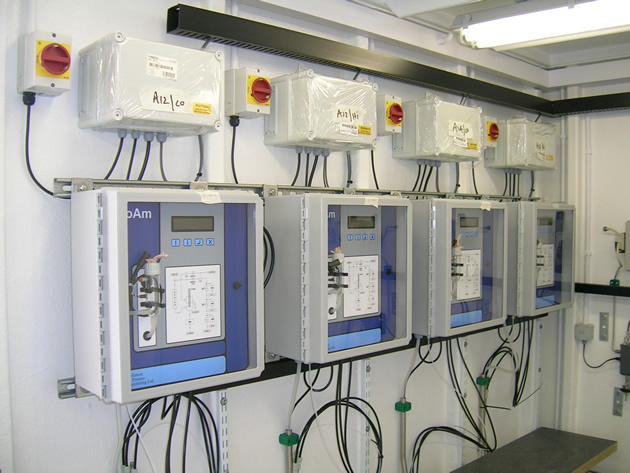 The Proam ammonia monitor is also manufactured in Kent and is extensively installed for water measurement applications which include final effluent monitoring. The OFD oil film detector is also designed and manufactured by PPM at the Southern office. Water instrument manufacture also extends to a laboratory TOC analyser for the measurement of discrete samples. Additionally, bespoke engineered systems such a pre-installation into analyser kiosks is also provided.